I never owned my own Intellivision console, but got to spend a lot of time with friends in prolonged gaming sessions. Got to love the early sound and voices! Also played original RB in 2D for a little on a friend's early Apple (or was it a Mac? ), but at that point was deep in grad school so never got in on the 'golden age' of gaming like RB3D. 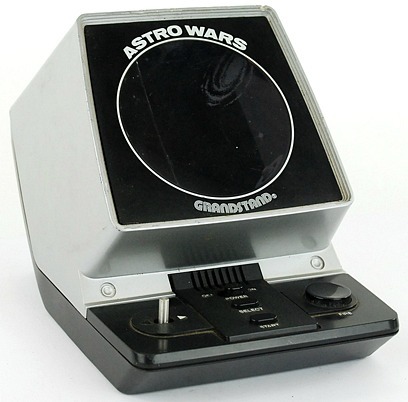 Did anyone have one of these? Weren't you too young Speck? That was an adult-only rated title no? The Intellivision was my first console, I would have loved to have that game, I didn't even know it existed!! I burned a lot of hours on Wolfenstein. That and the original Wizardry. I think I still have my Apple IIC stuffed in the attic. Kind of makes me want to perform a digital archeological expedition. A buddy of mine had the Formula One game. I seem to remember that thing burned through the batteries. Now, ~35 years later, I'm even more of a map nerd! Those were hours well spent. Forgot about this one. I guess this was my first 1vs1 dogfight experience.